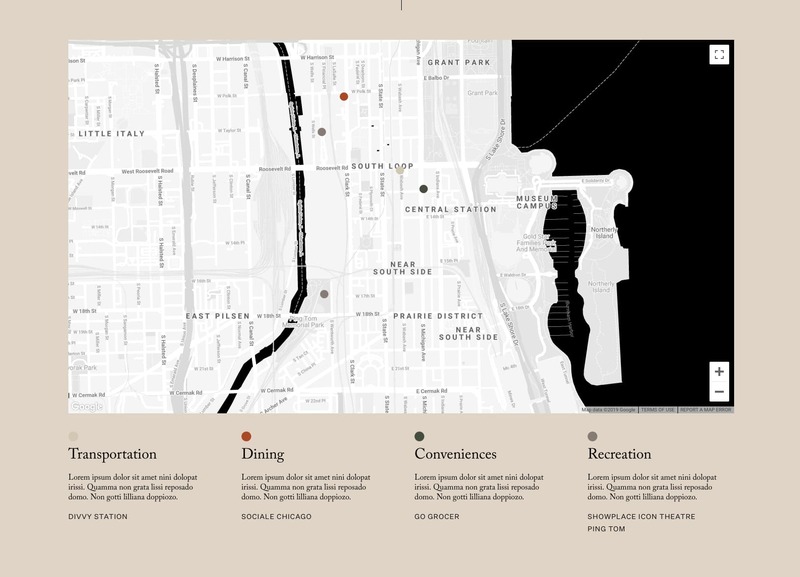 Coeval is a new luxury residential building located in Chicago’s South Loop. Coeval is being advertised as a modern and sophisticated new apartment building, and CMK wanted their website to reflect that as well. 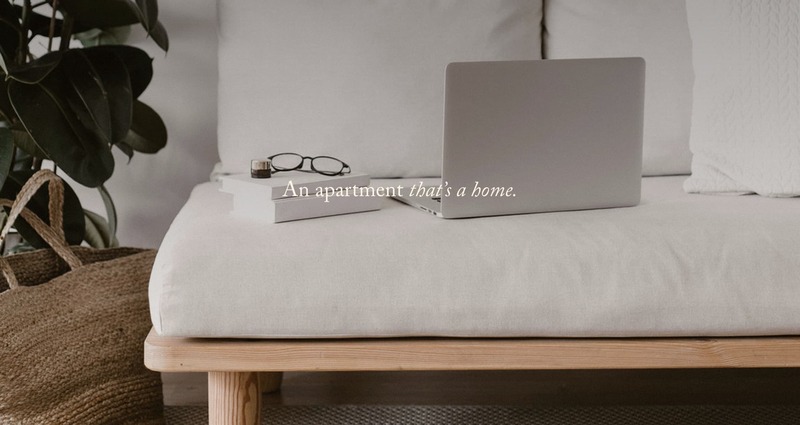 Their goal was to advertise not only the apartment itself, but also the building’s amenities, and it’s proximity to local parks, transportation and shopping. We helped accomplish this by working closely with the client to ensure that their vision for the new building perfectly matched their expectations. 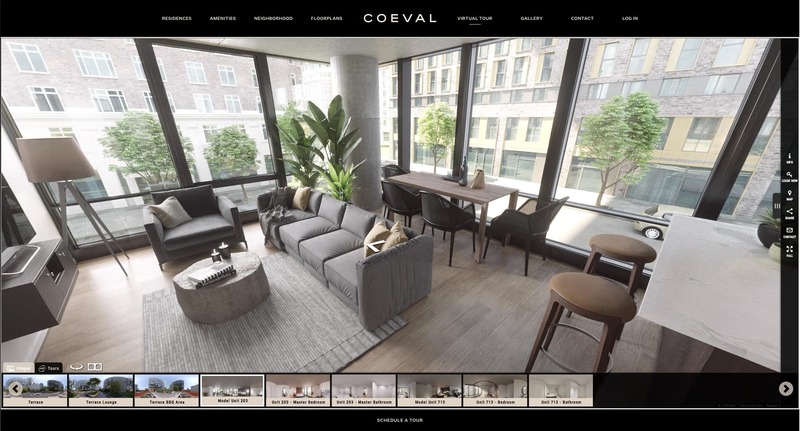 We integrated a virtual tour application, allowing potential residents to explore the apartments and amenities offered at Coeval, all from within the Coeval website. 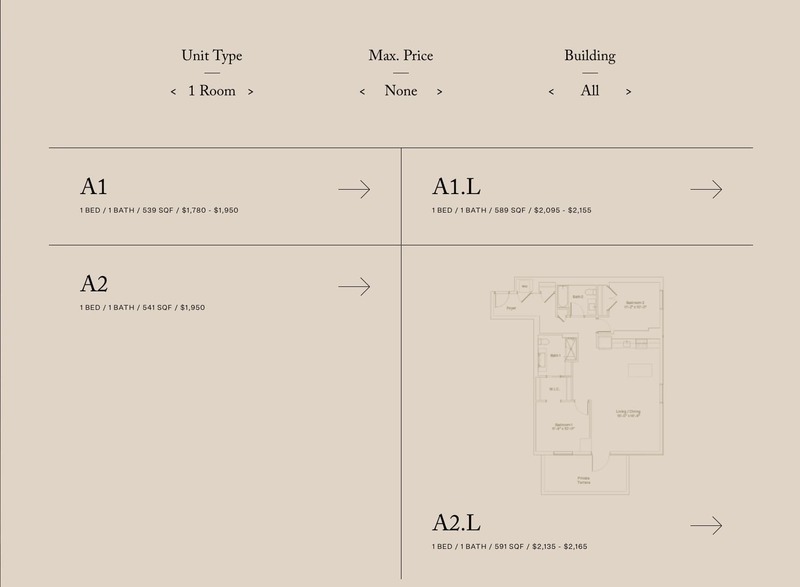 We integrated the listing API used by CMK into the website, allowing users to get realtime information about availability and unit pricing for apartments at Coeval.